Well I am off to Stone Harbor, NJ tomorrow to join Emma who is already at Grandma's house there. 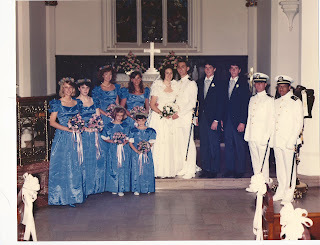 I am looking forward to a week or so away, walking on the beach and catching up with Mom, Aunt Kate and Uncle Ron. I am taking Maggie (our Pug Dog) with me and we take a day and a half to drive up. We are going through Norfolk, across the Chesapeake Bay Bridge and then up the DelMarVa peninsula and taking the ferry from Lewes, Delaware to Cape May, New Jersey. It's actually not Maggie's first ferry ride -- she took it with us last Summer -- not that she enjoyed it that much. She mostly sat on my lap because she didn't like the vibration of the ferry boat. 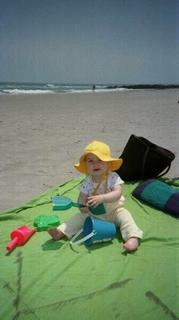 I've included a photo above of Emma at the beach in Stone Harbor in the Summer of 2000. Hard to remember her when she was that small isn't it?